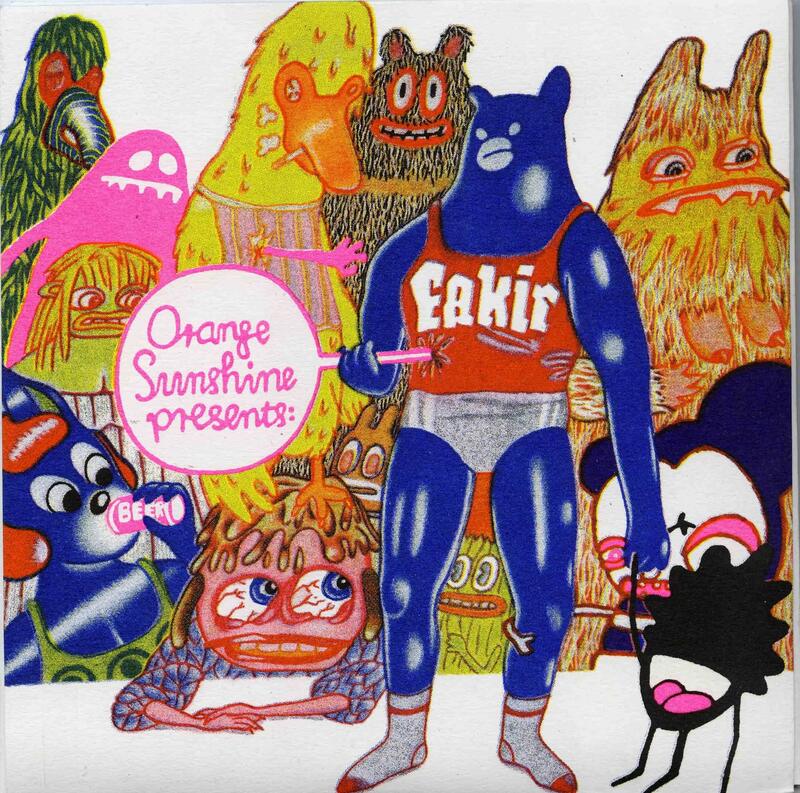 This is the latest music by the cool Dutch low fi fuzz rock band, Orange Sunshine. This 7” comes in a cool hand made sleeve. The single is totally unlabeled so you have no idea which side is which or what speed to play this record (33rpm). We tried it on both speeds and it sounds great either way. I actually think they actually play on 45 but still sounds cool on 33. Very stoney and awesome stuff. A must have 7” if you like Orange Sunshine, Blue Cheer, and fuzz rock.. These guys are the kings of this low fi genre.